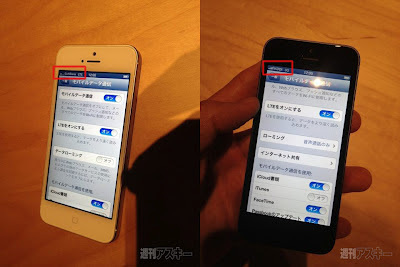 A comment pointed out that an ascii review article includes photos showing the Softbank version appears to have an LTE connection, albeit relatively weak. The KDDI version shows a 3G connection. This would seem to be consistent with the count of 2100 MHz LTE base stations operated by each of the three main carriers. So there may be hope after all for using a Softbank iPhone with LTE at launch, though don't expect extensive coverage.